5280 Carpet Cleaning & Restoration is much more than a locally owned and operated Denver carpet cleaning company. Hi, I’m Jim Arnoldi at 5280 and I’m a carpet cleaning professional that is committed to quality service at any hour of the day or night. I am on call for emergency service. Customers rely on 5280 for carpet repair, upholstery cleaning, stain removal, flood and fire damage restoration, tile and grout cleaning, and even mold remediation. 5280 provides innovative cleaning and repair services to commercial and residential clients. 5280 can even provide a wide variety of carpet for sale and installation and does not use subcontractors. All installations, repairs, and professional carpet cleaning services are performed by 5280 Carpet Cleaning & Restoration, a certified and accredited service company. 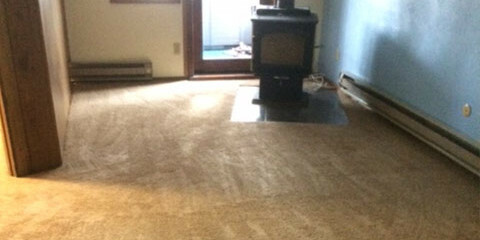 For carpet repair and carpet cleaning service in Denver, 5280 should be your first choice. Whether your carpet is damaged or stained, or needs to be replaced all together, 5280 has the solution to fit your needs. I use a variety of carpet stain removers and have remedies for most types of stains. I also use advanced steam cleaning equipment such as the Rotovac PowerWand demonstrated in the video on this page. As a professional technician, I am confident that I can restore your home or business to a pristine level–whether you have flood water damage, pet odor, or simply want a cleaner carpet. As a friendly service professional, I will work closely with you to understand your needs and determine the most inexpensive solution. Free estimates are available–no matter what your situation. So call for a quote today. Serving the Entire Denver Metro Area! I ensure that my company employs only the best techniques in the business and I utilize a unique anti-allergen steam cleaning technology that is proven to be effective on all carpets, whether commercial or residential, and is safe for oriental rugs and most other specialty rugs. Customers are often amazed at how many different repairs I can perform, and how effective I am at restoring old carpets to their original quality. Tile and grout that is covered with mildew may appear to be ruined, but 5280 can help. Before you decide to replace the old, dingy tile in your bathroom, consider having the stains professionally treated. Just as your carpet needs regular cleaning and maintenance, the furniture in your home or office also needs regular care. In fact, furniture like your sofa or recliner can be considered high traffic areas and they frequently end up stained and dingy just like your carpet. 5280 came to my house at midnight to fix a flooded basement. He arrived within an hour of my call, and got right to work moving furniture and clearing the water out. He stayed and worked for hours, and was back the next day checking on the walls for wetness, which he dried out. The work and service were impeccable. I don't wish a flood on anyone, but this is the kind of service you want if you have one! 5280 did such a great job on the flooded area, that I had them clean the upstairs carpets as well, and was not disappointed. They have a customer for life! Thank you for all your hard work! - Andrea P.
5280 Carpet Cleaning & Restoration is much more than a locally owned and operated Denver carpet cleaning company. We are an elite team of carpet cleaning professionals that is always on call. If you are in need of emergency services, the team at 5280 Carpet Cleaning is ready to spring into action 24 hours a day. Our customers rely on 5280 for carpet repair, upholstery cleaning, stain removal, flood and fire damage restoration, tile and grout cleaning, and even mold remediation.